If you are looking for the perfect property to build your ultimate home and estate which could grace the pages of Architectural Digest, then look no further this is it. The 58 acres is set among farms and Country Estates form $3 Million to well over $12 Million which are the norm. More importantly, every detail of the land development plan has been addressed to provide the opportunity to create a unique Family Compound comprising up to four (4) Residences, Bucks County Barns, Dependency Buildings, Gardens, Orchards, Pools, Paddocks, etceteras. 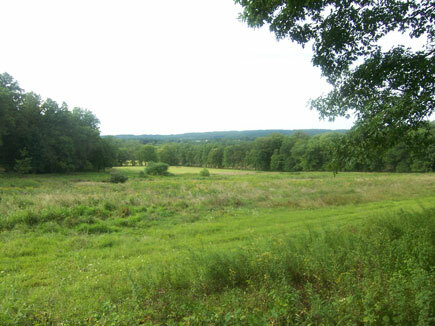 The property offers unique perspectives as you are guided through a mature wooded grove and then gracefully through meadows from one vignette to another until your home is presented to you as a flower unfolds in all of its magnificence. The panoramic views are unsurpassed as you look down from Jericho Mountain surrounded by mature forest and farms making up 1000 acres of conservation lands. The property can also be purchased as a 44 acre or 14 acre parcel with Design Build Packages from $5 Million.